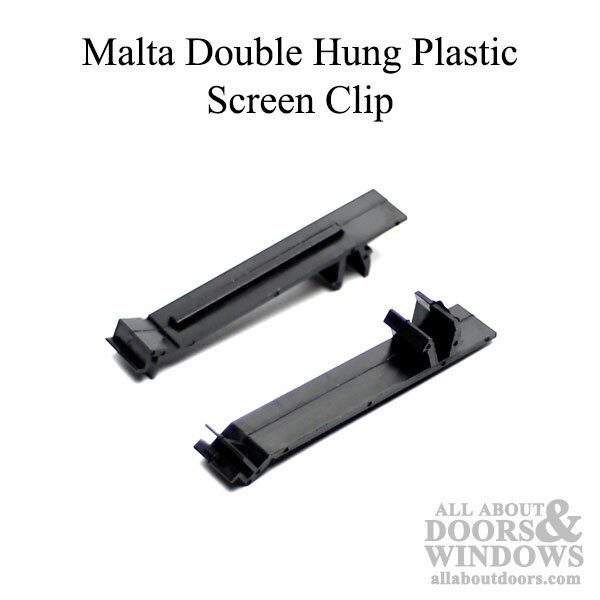 These instructions apply to Malta double hung windows similar to Figure 1. 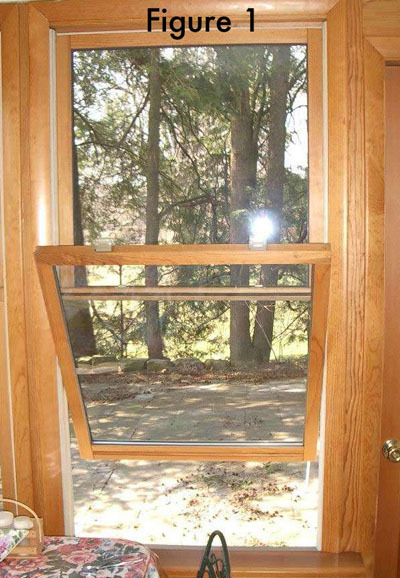 These windows pivot at the center to facilitate cleaning. 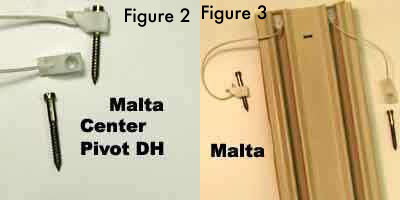 The original center pivot shoes (Figure 2) have been discontinued. 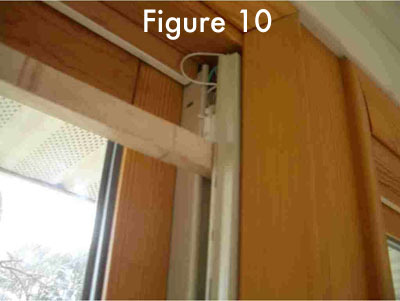 They operate using lift springs, which are housed inside the plastic guides along the sides (Figure 3). As the original parts have been discontinued, the replacements used in this tutorial are not exactly like the original part. 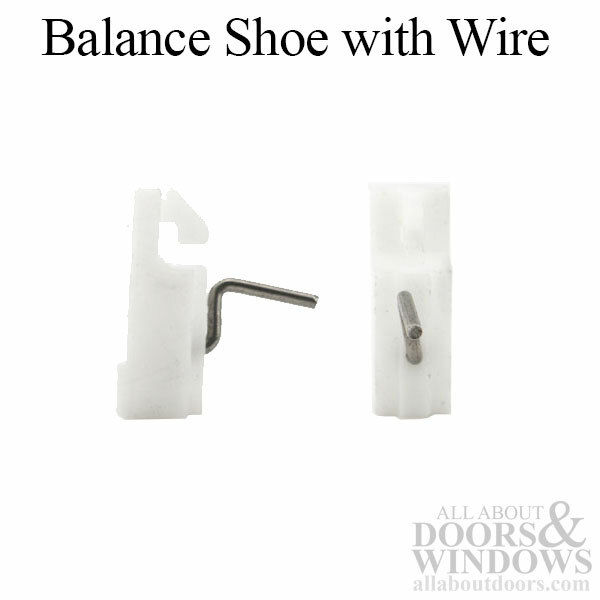 The main replacement part, the shoe, needs slight modification and must be fitted into the window track by prying the track open slightly. 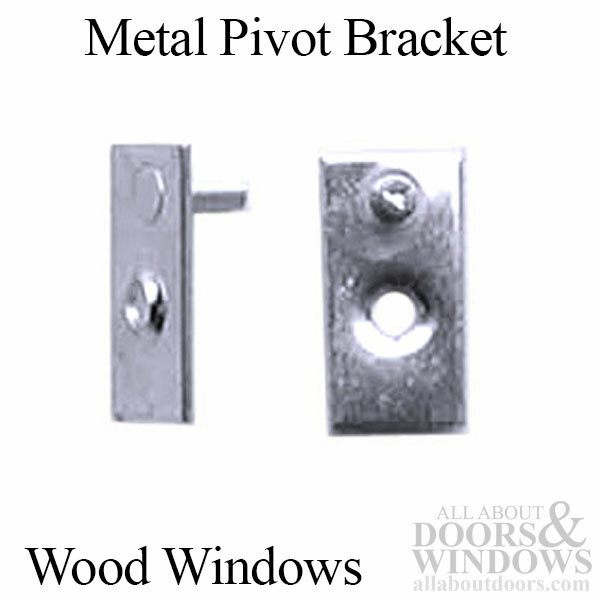 These are parts #66041 and #66014 at All About Doors & Windows (Figure 4). 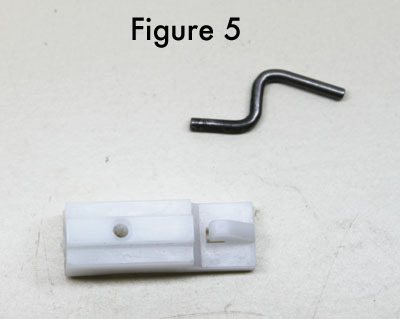 Remove the metal pin from the replacement part. 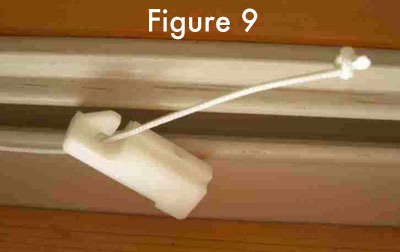 If it doesn't easily pull out, twist it, and it will slide out (Figure 5). 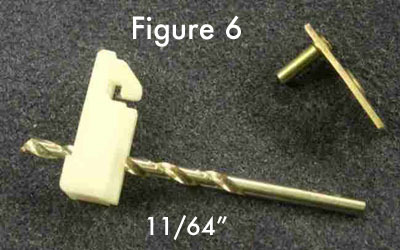 Drill the pin hole larger using an 11/64" drill bit (Figure 6). 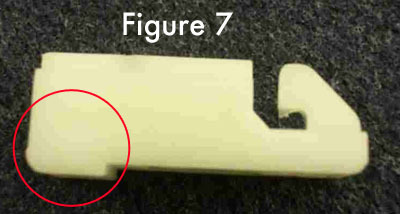 Trim the slightly protruding piece on the back of the replacement part with a fine-toothed saw or file (Figures 7 and 8). 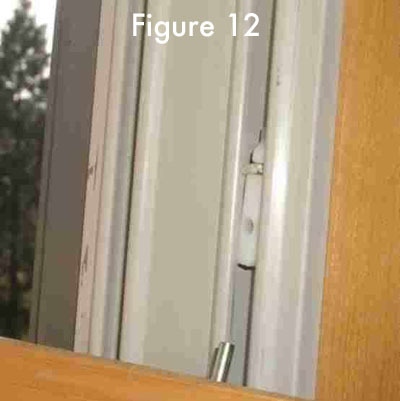 Insert the lift string from the window lift into the hole in the shoe (Figure 9). Tie a knot in the string to keep it from pulling out. A figure 8 knot is recommended. 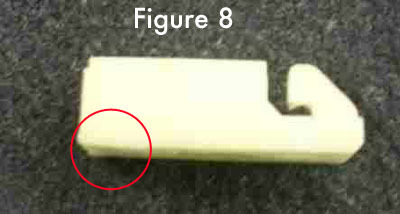 Make a hardwood wedge to pry the slot in the plastic open enough to admit the shoe (Figure 10). 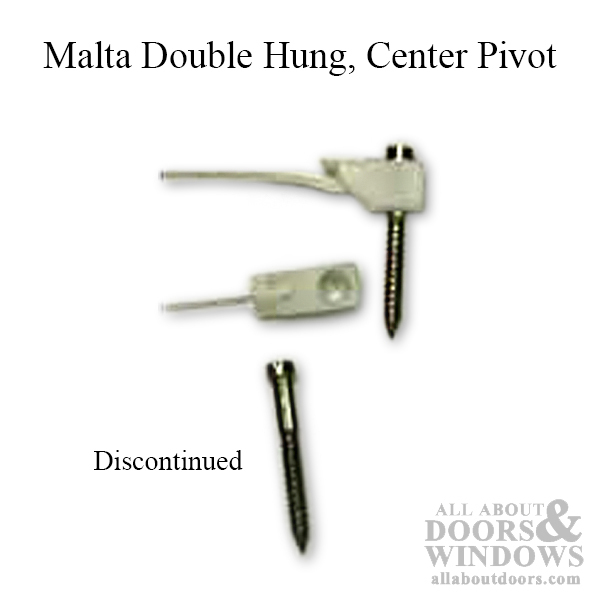 Attach the lift pin plate to the side of the sash with a flat head or oval head screw where the original shoe was mounted. 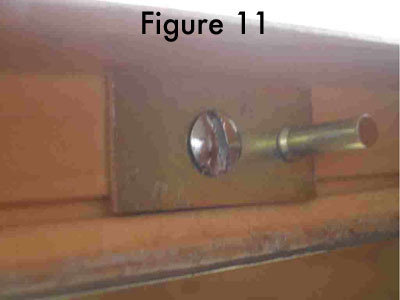 The original screw may not be satisfactory because its head is too high (Figure 11). Bring the shoe down the guide slot into place for mounting the sash. Then tilt the sash and insert the lift pin into the shoe. Level the sash, and tilt it upright and into the track (Figure 12). Special Thanks to R. Broker from Ohio for submitting this tutorial and numerous accompanying pictures.